Natural living has become this thing, which the further I wade into the waters, the further I want to go – because there’s just so much to know. And that’s been the fun part: learning and putting things into practice and making sense of what makes you feel good. Basic, whole food ingredients nourish the body in a way that I’ve never experienced from a product. It make your skin feel really good. 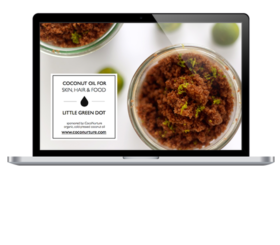 These days – you can buy all your bath and body products natural and organic. But, what I’ve realised is that prepping skincare at home, is really a lot like knowing how to cook for yourself at home. It’s a skill that opens up a lot of doors – it makes healthy living affordable, accessible and there’s great satisfaction in getting hands-on with food. Being your own skincare chef – it’s about knowing what you like, what your body needs and how to use the ingredients around you. To give you an idea of how you can use pantry ingredients – I put together a little guide to help you pair your skin’s needs with a plant’s benefit. I’ve also included essential oils, because they have become part of my pantry staples. Cleansing: Ingredients that are naturally cleansing, inhibit the growth or reproduction of bacteria, maintain a healhty skin mantle and flora. Physical exfoliation is also cleansing in removing dirt and bacteria from the skin. Nourishing: Ingredients that feed important minerals and nutrients to the skin, for your body to produce healthier cells and perform more optimally. Think face masks! good for: Dry skin. Dehydrated skin. Maturing skin. Soothing: Ingredients that help to calm irritate skin, reduce redness and bring down inflammation. good for: Irritated skin. Inflamed skin. Sensitive skin. Dry skin. Moisturising: Ingredients that help to build a strong skin mantle that locks in moisture and hydration. A substance the softens the skin. good for: Dry skin. Maturing skin. Chapped skin. Stressed skin in need of soothing and comfort. Good for: Skin that feels tight, dull. Healing winter-worn skin. Good for: People with an active, out door lifestyle. Sensitive skin. Supporting skin through aging. Yes, skin care can get more complicated than that – just like nutrition can. But it doesn’t have to. Focus on giving yourself more whole foods, learn from the process of making and take the time to enjoy it all. You’ll be feeling amazing – and loving your skin! I hope you found this inspiring and helpful! PS: Want to learn more? The Spring Guide will take you step-by-step into your kitchen, and whipping up the best remedies for your skin!